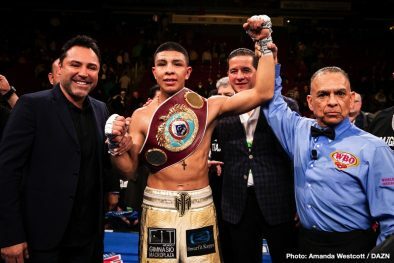 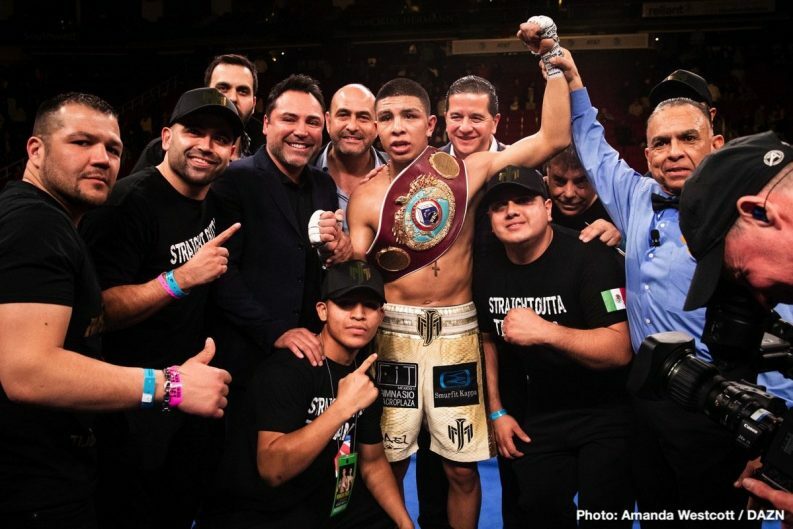 WBO junior middleweight champion Jaime Munguia (32-0, 26 KOs) looked one dimensional in beating Takeshi Inoue (13-1-1, 7 KOs) by a wide 12 round unanimous decision on Saturday night in what turned out to be a grueling fight for the Golden Boy Promotions star on DAZN at the Toyota Center in Houston, Texas. 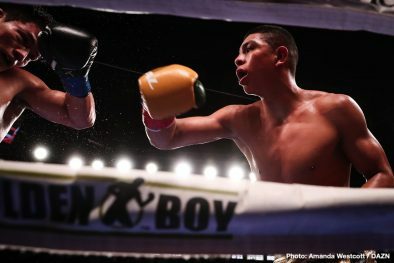 This was not a good effort from Munguia. 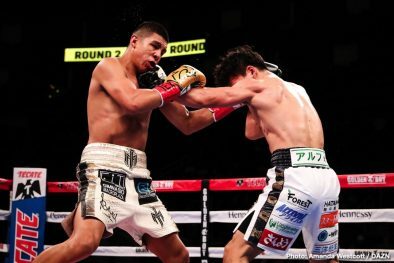 The flaws that Munguia showed against Inoue are troubling. 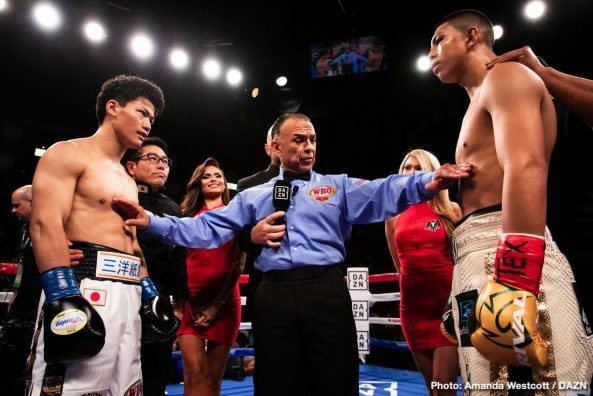 Munguia, 22, probably didn’t know going into the fight that he was dealing with more than he had bargained for in facing a driven Japanese fighter with great chin, and unrelenting will power. 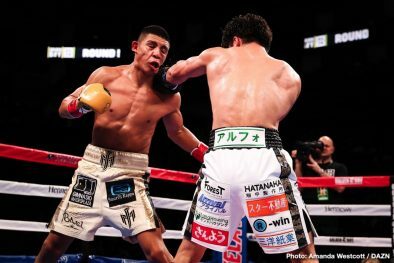 Inoue was a pure nightmare for Munguia from start to finish. 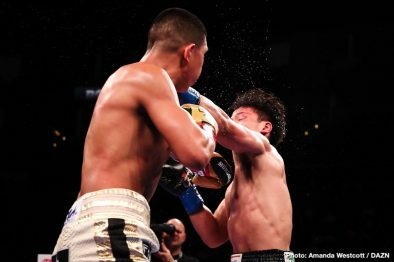 It’s lucky for Munguia that Inoue didn’t throw a lot of jabs, and use head movement, because he probably would have beaten him if he had used those things tonight. 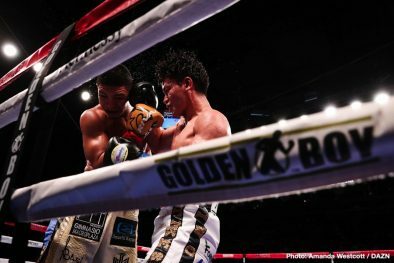 The judges scored the fight 120-108, 120-108 and 119-109. 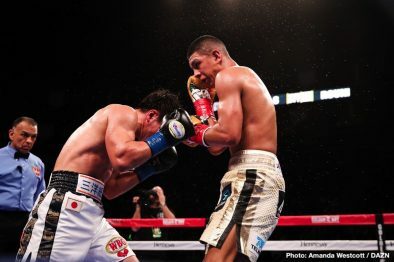 The scores did Munguia no favors, because he’s going to look at them and think that he totally dominated Inoue. 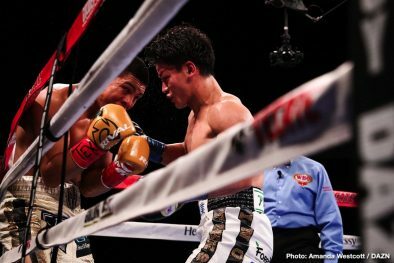 Munguia won the fight, but Inoue fought well enough to deserve three rounds at least. 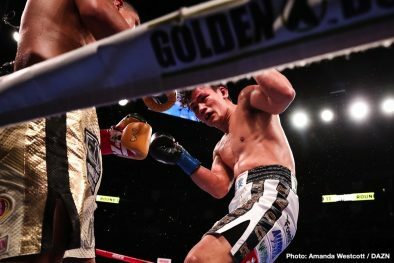 The scores were off. 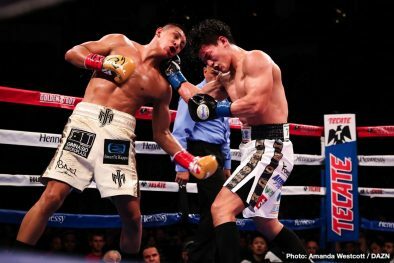 Munguia was taking heavy shots on the inside all night long, and he was forced to adapt his game to try and slow down Inoue’s pressure by holding and moving. 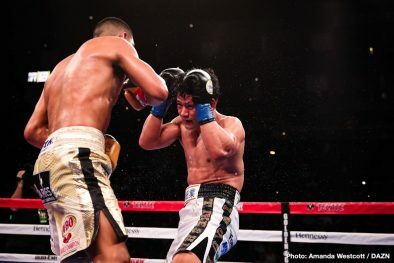 That’s not the style that Munguia is known for. 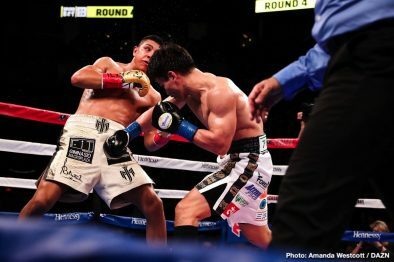 He’s not a clincher and a mover, but tonight he had to because he was taking heavy shots on the inside. 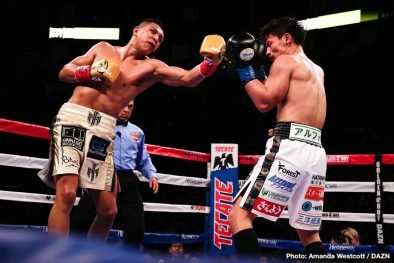 Munguia didn’t possess the inside fighting ability to deal with Inoue’s inside game. 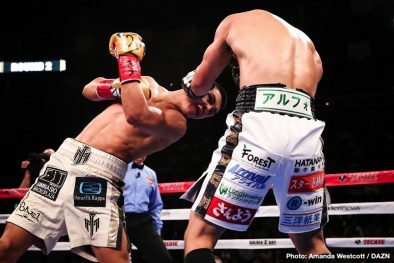 It was difficult for Munguia to know where Inoue’s punches were coming from, as he was throwing them in such an unorthodox manner. 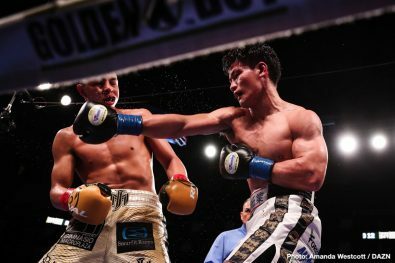 Inoue looked almost uncordinated when he would throw a jab, and a lot of the times he chose not to. 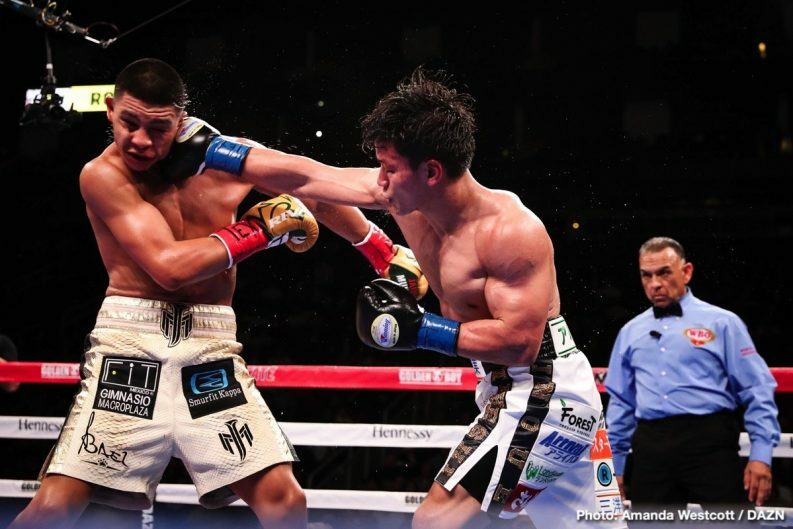 When he did throw a jab, he could catch Munguia with it almost every time. 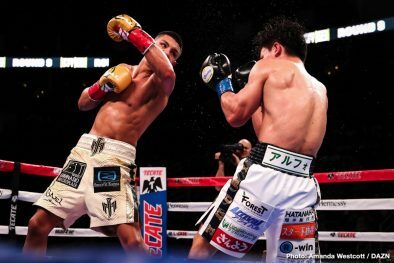 Inoue couldn’t miss. 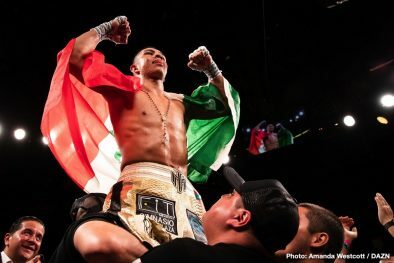 Munguia did well in throwing body shots. 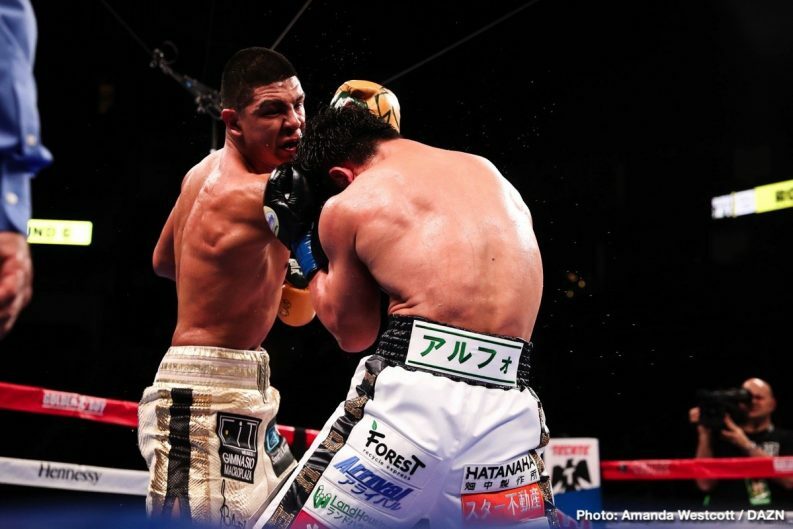 Those punches bothered Inoue the most. 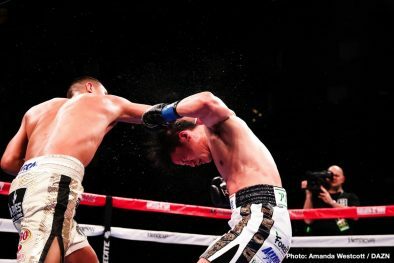 Munguia had to pay in a lot of cases when he would throw to the body, as Inoue would counter him with hard shots a split second after he would throw. 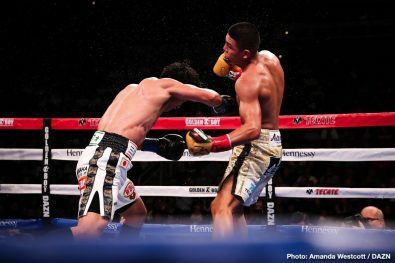 The shorter 5’8″ Inoue had to take a lot of shots to get in close to unload with his punches on the inside. 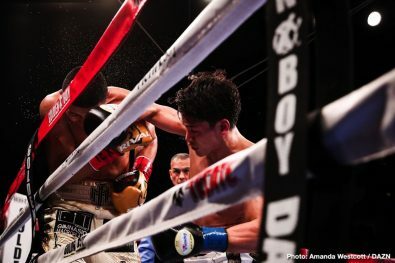 When Inoue did get inside, he would put his head into the face of Munguia and nail him with looping hooks to the head and uppercuts. 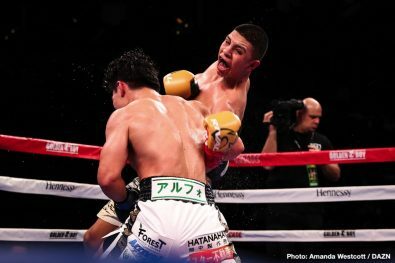 Although Inoue isn’t known for being a big puncher, he was still snapping the tired looking Munguia’s head around. 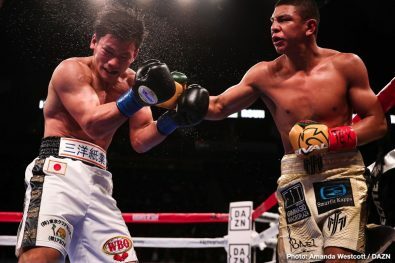 Munguia was clearly hurt in rounds 10 and 11 from hard shots from Inoue. 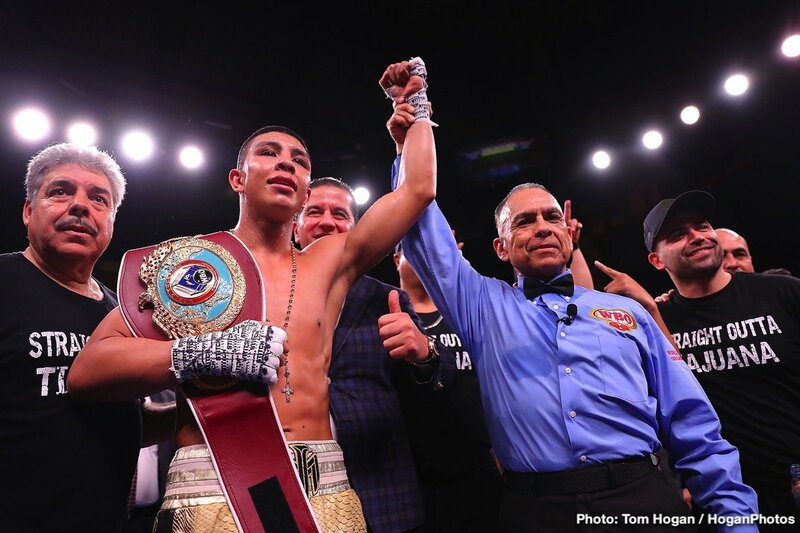 But in each case, Munguia came back strong at the end of the round to finish strong. 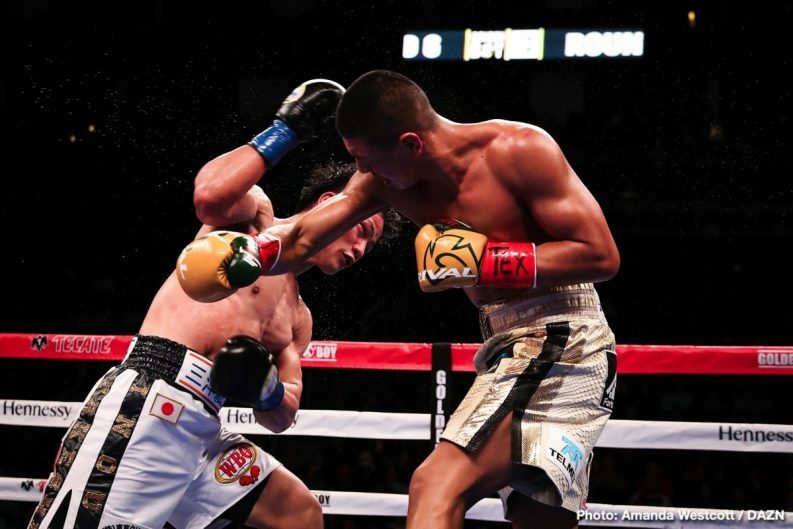 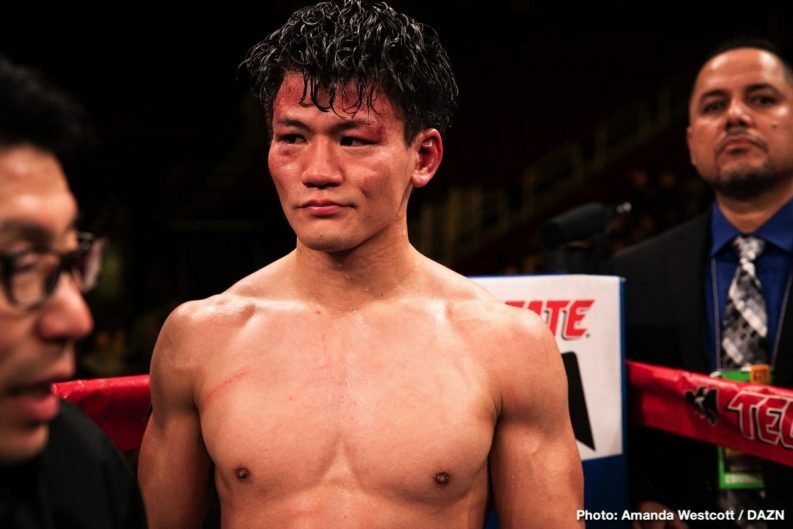 Inoue was hurt at the end of the 10th round after getting hit with a storm of heavy shots from Munguia. 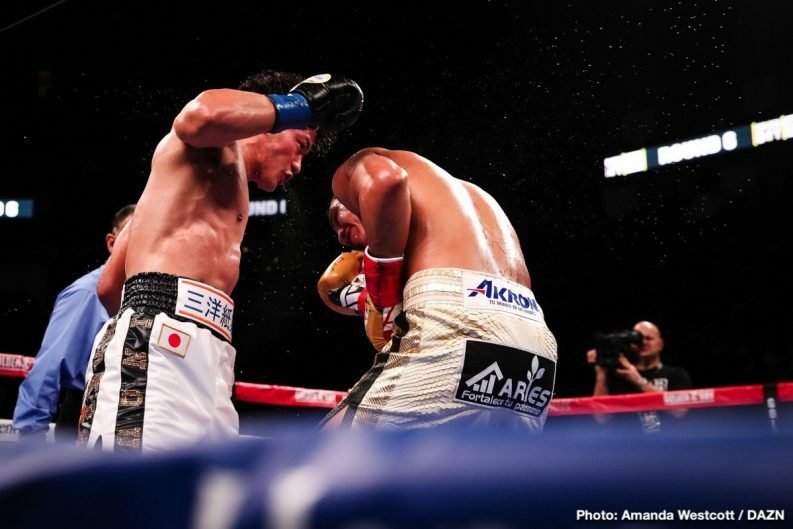 The round ended just in time for Inoue, who looked like he was ready to go down. 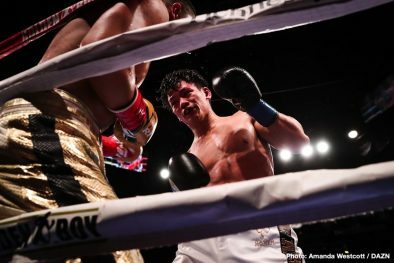 Inou’s right knee almost touched the canvas after getting hit with a big uppercut while he was against the ropes. 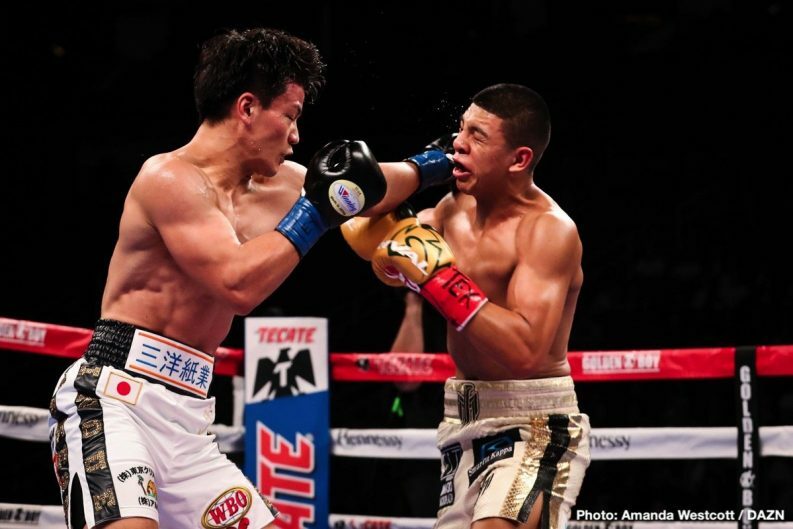 Munguia made the mistake of letting Inoue bull him to the ropes, and land his hard shots. 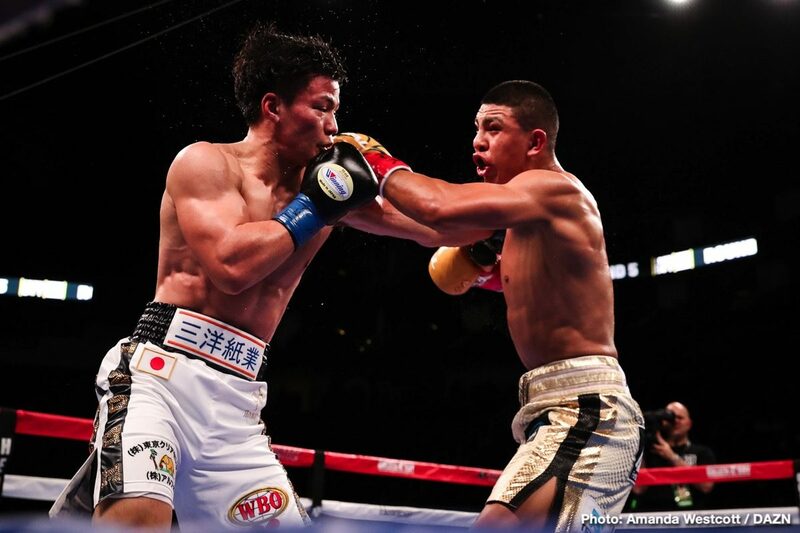 Munguia would move around the ring, but Inoue would corner him and put him against the ropes every time. 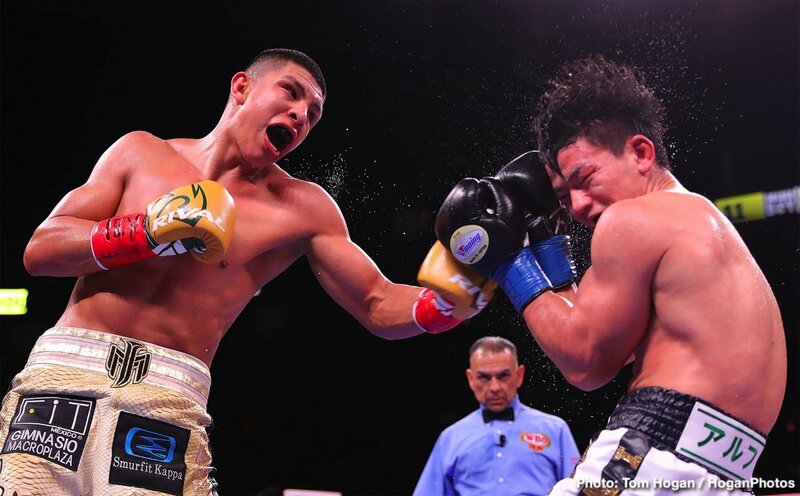 Munguia was too tired to get off the ropes, and that enabled Munguia to land some wicked shots. 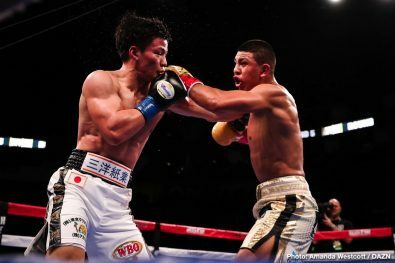 In a lot of cases, Munguia had Inoue pinned against the ropes, and yet he still took big shots from the Japanese fighter in close. 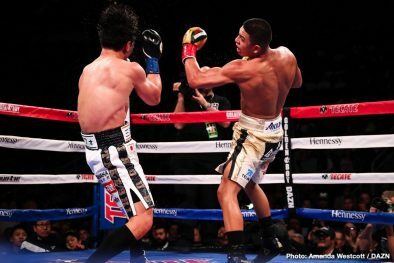 Munguia didn’t have the inside fighting ability to fight that kind of a match. 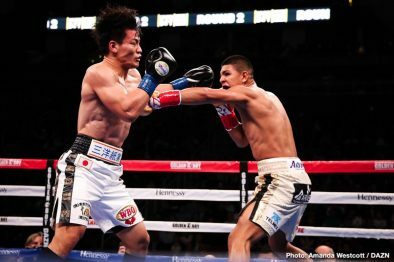 Inoue was the better fighter on the inside, and he made sure he took advantage of Munguia’s habit of trying to fight him in close. 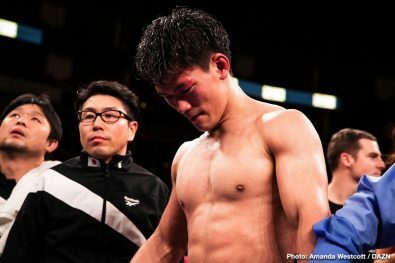 The heart that Inoue showed in the fight was what kept him competitive. 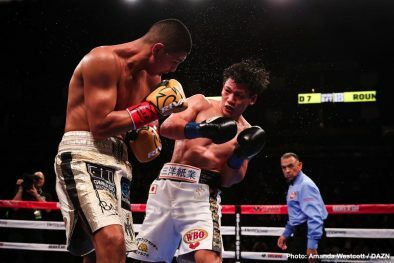 Even though Munguia was getting the better of him, Inoue made sure he got his own shots in as much as possible, and he made it a heck of lot tougher fight than what the Golden Boy fighter was expecting. 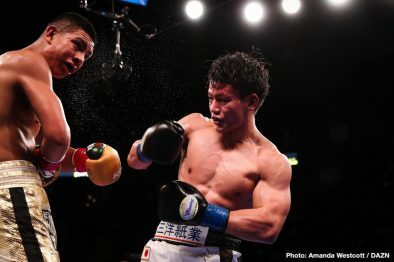 If Inoue had more power, and if he threw more punches, he would have won tonight. 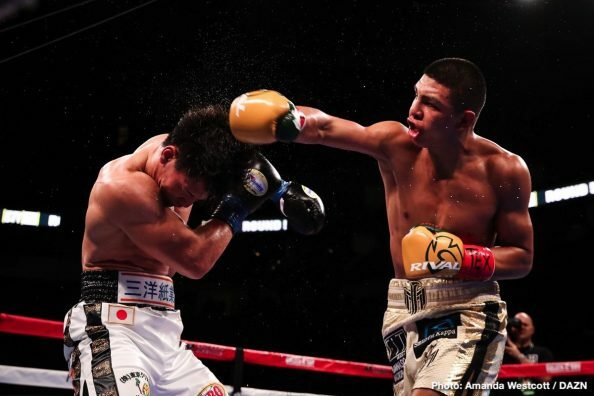 Munguia threw almost twice as many punches than Inoue, and that was the telling factor in him winning. 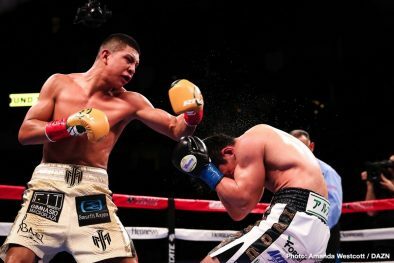 CompuBox had the unbeaten Munguia landing 311 of 998 punches for a connect percentage of 31. 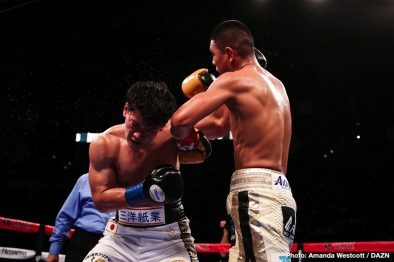 Inoue landed 134 of 542 punches for a 24.7 percent connect rate. 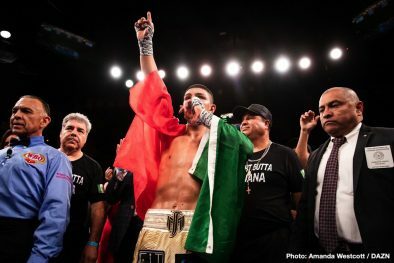 What we saw tonight is Munguia is not going to develop into another Saul Canelo Alvarez if he continues to fight like this. 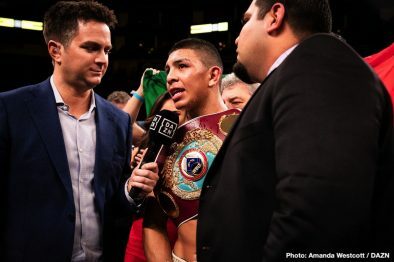 Munguia needs to think of getting another trainer. 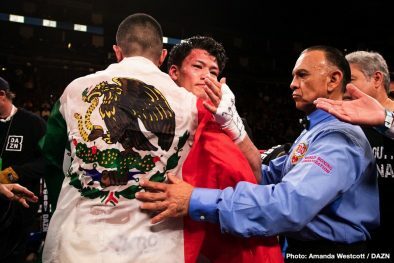 Even if it means teaming up with Canelo’s trainers, the Reynosos, he needs to make that move as soon as possible. 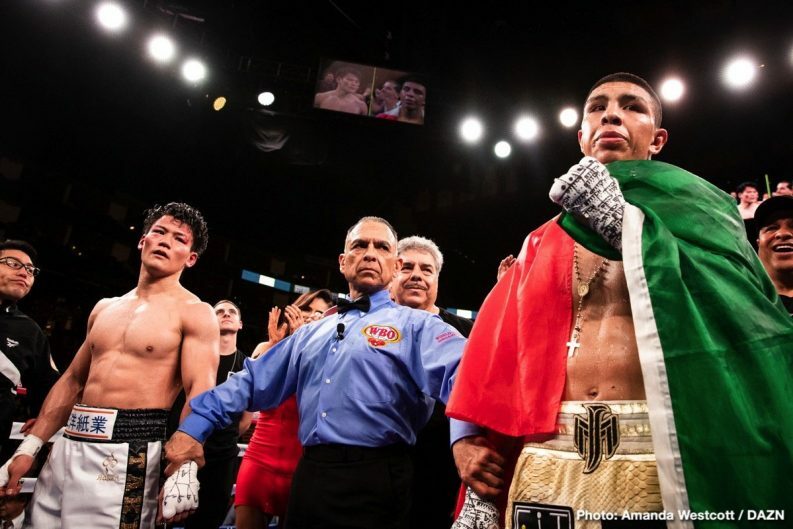 Munguia’s game needs to be retooled from top to bottom. 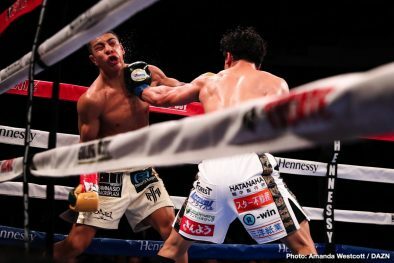 He throws too hard, he fights with his mouth open, and doesn’t use head and upper body movement like Canelo. 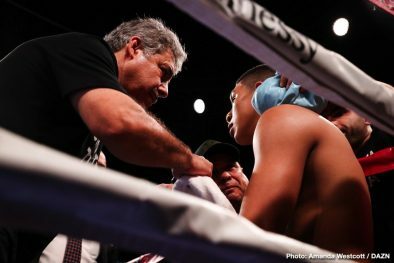 These are all things that can be taught to Munguia by good trainers like the Reynosos. 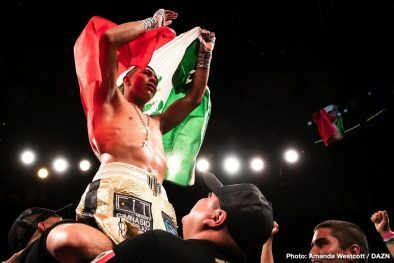 The way Munguia has been fighting in his last several matches, he’s going to get beaten as soon as he’s put in with better opposition at 154. 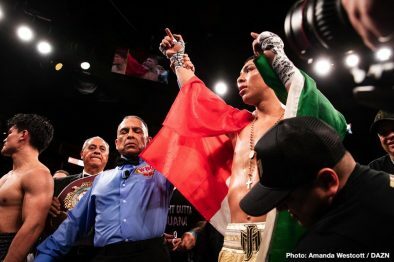 Golden Boy has got to realize that after seeing Munguia struggle against the 5’8″ Inoue tonight. 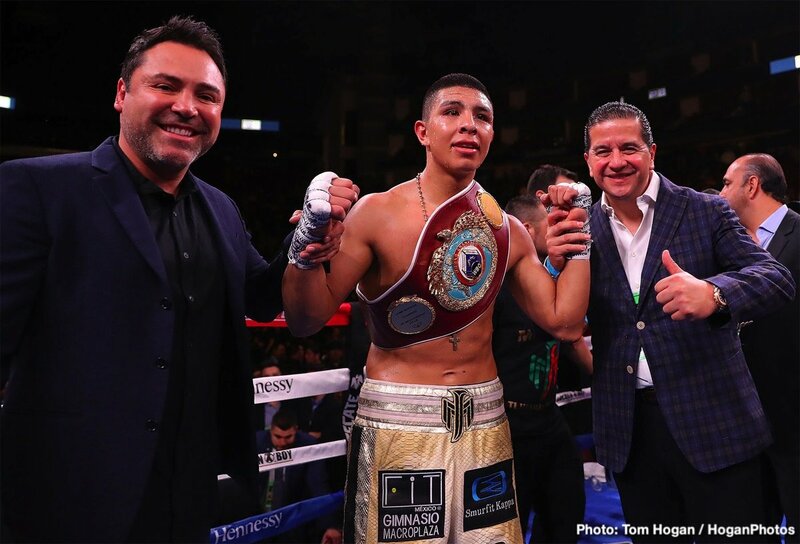 They’ve done a good job of hyping Munguia up as the next star, but that’s not going to happen unless he changes out his trainer and fixes the holes in his game. 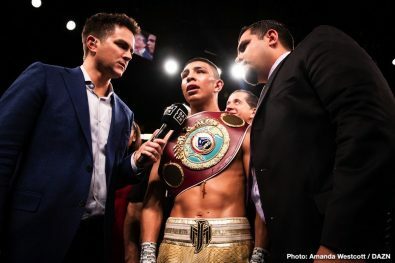 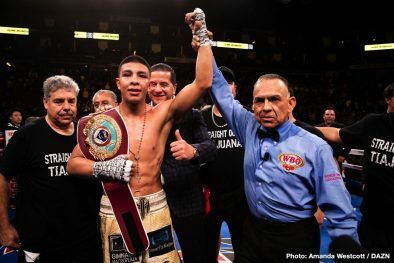 Munguia has the punching power, work rate, youth and the hart, but he needs to get better on defense and make some other tweaks to his game before he faces one of the lions at 154 like Jarrett Hurd, Julian ‘J-Rock’ Williams, Jermell Charlo or Tony Harrison.